When listeners first heard Gordon Lightfoot‘s heart-wrenching tale of the 29 brave souls who lost their lives aboard a ship in his 1976 hit, “The Wreck of the Edmund Fitzgerald,” many assumed that he had chosen a subject from perhaps a century earlier. 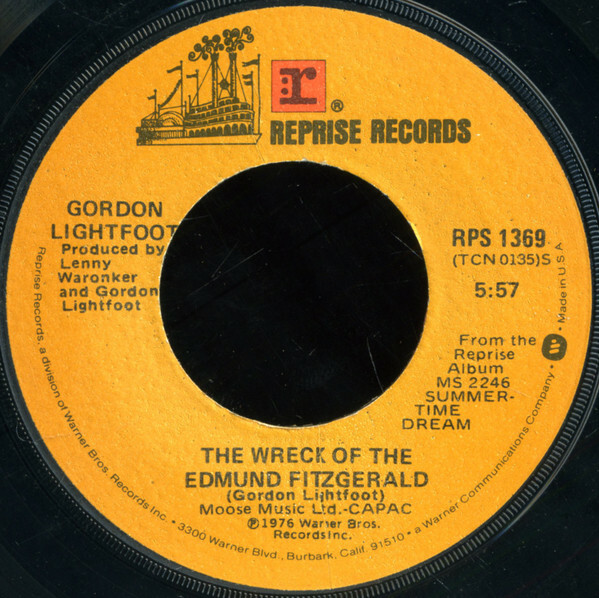 When “The Wreck of the Edmund Fitzgerald” was released as a single in August 1976, Top 40 audiences listened spellbound to Lightfoot’s tale no matter how many times they heard it. Soon enough, the gales of November came slashin’, when afternoon came it was freezing rain, in the face of a hurricane west wind. Lightfoot’s lyrics continue: The Captain wired in he had water comin’ in, and the good ship and crew was in peril. And later that night when his lights went out of sight, came the wreck of the Edmund Fitzgerald. Lightfoot’s tale is, indeed, based on a true story. The SS Edmund Fitzgerald sank on Lake Superior, or as the songwriter writes, “Gitche Gumee,” which the poet Henry Wadsworth Longfellow had also called it in his epic poem of 1855, The Song of Hiawatha. The single debuted at #89 on August 28, 1976, ultimately reaching #2 that November, one year after that fateful day. Related: What else was at the top in November 1976? Lightfoot is the subject of a new 2-CD collection, The Complete Singles: 1970-1980, which features all of the A- and B-sides that he recorded for Warner Bros. Records, including the ones mentioned above. It arrives March 1 via Real Gone Music. Lightfoot, born November 17, 1938, keeps a busy tour schedule. Tickets are available here and here. Hi Greg, Thanks for sharing.